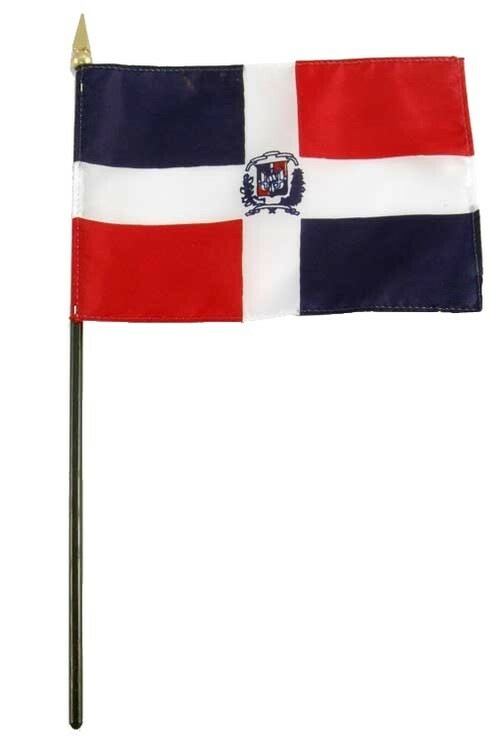 A Very Attractive Dominican Republic Hand Held Flag. Sewn Sleeve On Attractive Black Pole And Gold Spear. Made from 100% Superior Polyester Fabric....Bright Attractive Vivid Colors. Flag Measures 4" x 6". Pole measures 10"... Also Available In Many Other Countries, Please Inquire.